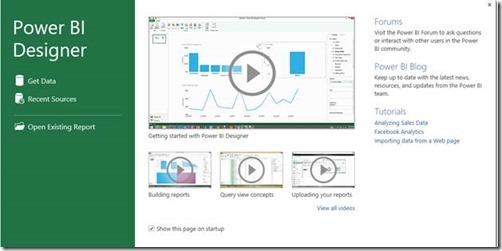 Power BI Designer is a tool that can help you create interactive reports. 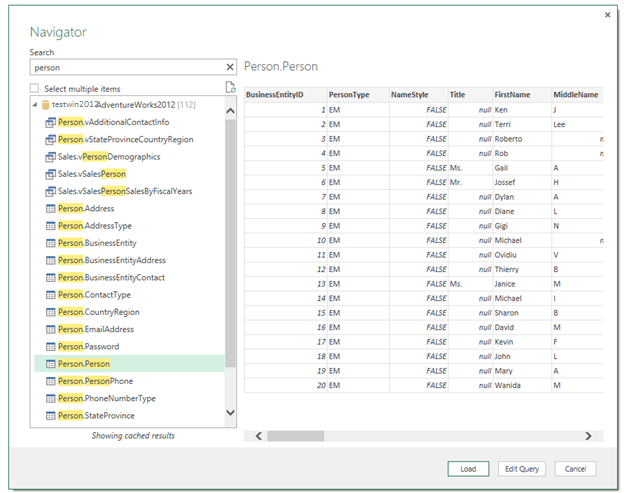 You can pull data from various data sources like SQL Server, OData Feeds, etc. Let’s look at how we can use Power BI Designer to pull data from SQL Server and add those data elements to a report. 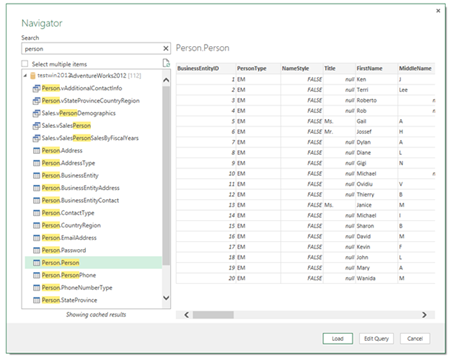 If you are familiar with Power Query and Power View, this will look very familiar. First we need to download and install the Power BI Designer on your machine and launch it. When it first launches, you will see a dialog that will have Get Data on it. Alternatively, you can also click on New Source, which will give you a drop down. 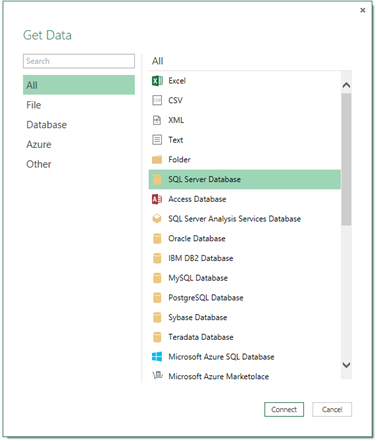 You can click on SQL Server, or click on More… to see the full lists of data sources. 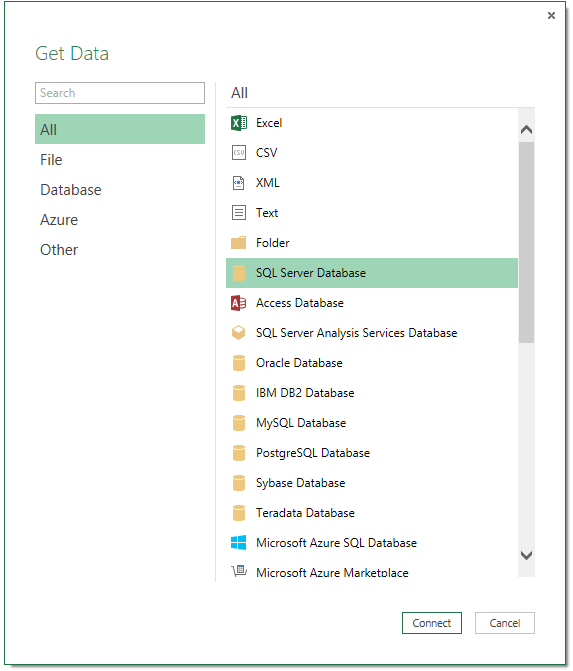 If you are on the list of all Data Sources, we want to select SQL Server Database and then click Connect. 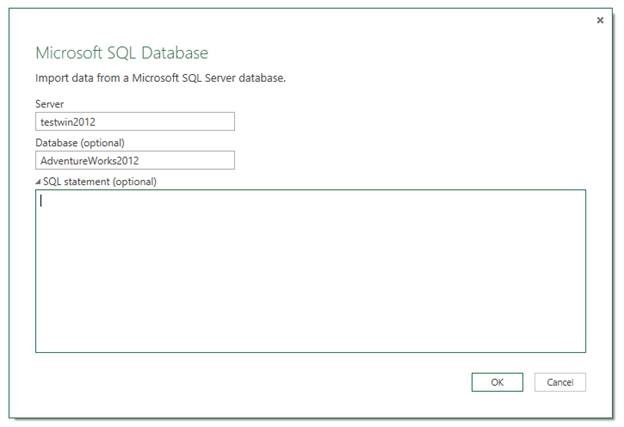 You will then see a screen to enter the SQL Server name and the Database name. This would be where the data is going to come from. There may also be occasions where you need to use a T-SQL Query (statement) to get the data you need. For example, if you have to use a few joins to get the data you want to use. 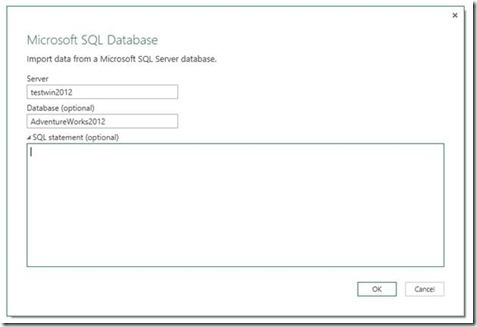 You can do this by expanding the SQL statement area and entering the query you want. NOTE: This will prevent Query Folding from occurring. Once you are done with entering the information you need, click OK. If you left the SQL Statement field blank, the Navigator window will come up and show a list of tables, views and functions listed for that database. You can select the item from which the data needs to come from. The search option can also be used to filter for a specific item. Once you have selected the item, click Load. This will pull the data into the Data Model. After the data is loaded, you can continue to shape the data on the Query tab. Otherwise, you can begin to build your report by dragging fields onto the canvas. From there you can alter the visualization types and add slicers, save and upload to the Power BI Service to create your dashboard.